Heading south for the winter? With so many Canadians spending all or part of the season in the Sun Belt, demand for vacation rentals is high, and finding a place that fits your needs and budget can be a challenge. 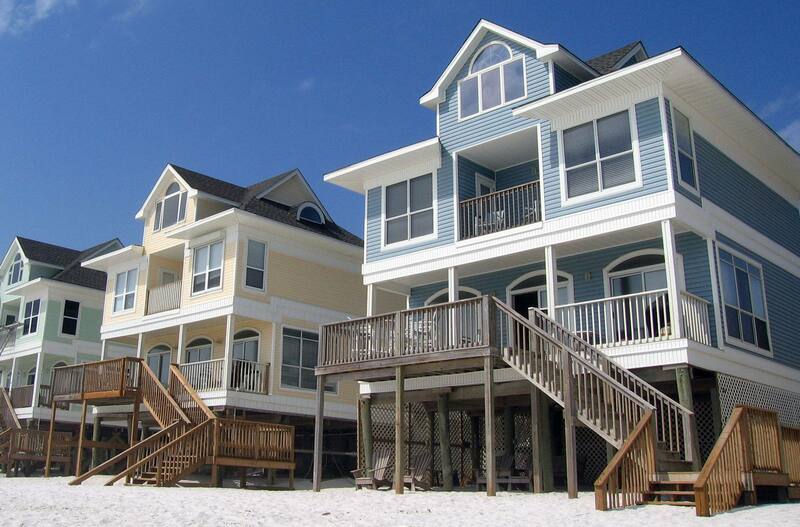 There’s a multitude of properties available for long-term rental in popular vacation markets, everything from RV and mobile homes to apartments, condos, and full-fledged villas. Before you start your search, you’ll need to narrow down your criteria. Space: Are you a twosome? A family? Will you be entertaining visitors during your stay? Figure out how much room you need to be comfortable—and remember that smaller spaces that are fine for short stays may feel cramped after a few weeks. Location: Are you a beach fan? A golfer? An urbanite? An outdoor enthusiast? Match your location with the kind of activities you enjoy the most. And remember that you may score a better deal if you’re willing to settle for something that’s a bit further away from prime locations. Amenitie: Amenities can be divided into two categories: onsite and off. Onsite amenities include everything from basics like elevator, Wi-Fi, phone, and parking to swimming pools, tennis courts, golf, and restaurants. Some places may also have extra units available for visitors if you’ll be expecting family and friends. You’ll also want to consider proximity to shopping, restaurants, sports venues, and the like. Price: Price will obviously vary with location, options, and the type of property. Check listings carefully to determine what’s included with the rental, and watch for signs that the unit might not be well maintained. Keep in mind that prices are highest from January through March. If you’ve got some flexibility, you might fare a bit better in November and December or in April. You can also check on discounts for longer-term rentals. From the web to rental agencies to word of mouth, there’s no shortage of places to look. Online vacation rental sites like Homeaway.com, AirBnB or Vacationrentals.com are an obvious place to start, but remember you’re competing with lots of other vacation-goers. Vacation rental companies and local real estate agencies are another good source, especially if you’re less familiar with your destination and would like some insider advice. Friends and acquaintances can also be a big help, and may have some great spots to suggest. If you’re already on site, you can check notice boards and local newspaper listings too. The more resources you draw on, the better your chances of finding a good match. And remember to check online often. New properties are listed all the time. Be sure to review the terms and conditions of your rental agreement carefully. You’ll want to check for things like cancellation policy, amenities included, charges for utilities (if any), arrival and departure dates and times, and so on. And if you’re planning on having family or friends come to visit, watch for any restrictions or conditions on hosting visitors. By planning well in advance and doing your research, you can look forward to a relaxing and rejuvenating winter vacation.